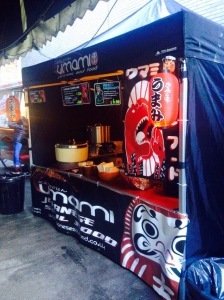 Umami is a small independent caterer cooking authentic Japanese street food. A husband and wife team, bringing great tasting Japanese dishes to the streets and your events. 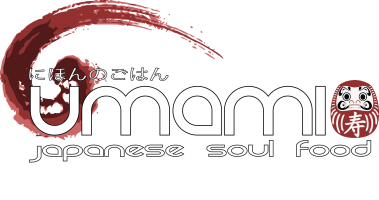 Having moved from Japan in 2009 to Birmingham we felt Japanese cuisine was underrepresented in the thriving food scene. As a result we decided we would try and bring a taste of authentic Japanese home cooking/street food to the people of the UK. Sakiko is the heart of Umami, its her cooking skills and knowledge of Japanese cuisine that gives our food that authentic home cooked Japanese taste. Sakiko refers to it as “Japanese Soul Food” , its the food she grew up with in Osaka (the nations kitchen) and felt was perfectly suited to the UK. Every dish is created from fresh ingredients following traditional home cooked recipes. 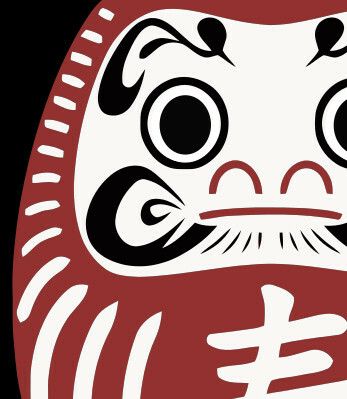 Japanese food is often misunderstood, ask people to name a Japanese dish and most people will inevitably say “Sushi”. This, however, only scratches the surface of a cuisine that runs the gamut from umami rich noodle broths, spicy Curries, tempura prawns to barbequed chicken skewers. Sourcing as much fresh local ingredients as possible we hope to bring you some Japanese dishes that have been slept on to long!!!! Join us or contact us if you would like to book us for an event! !